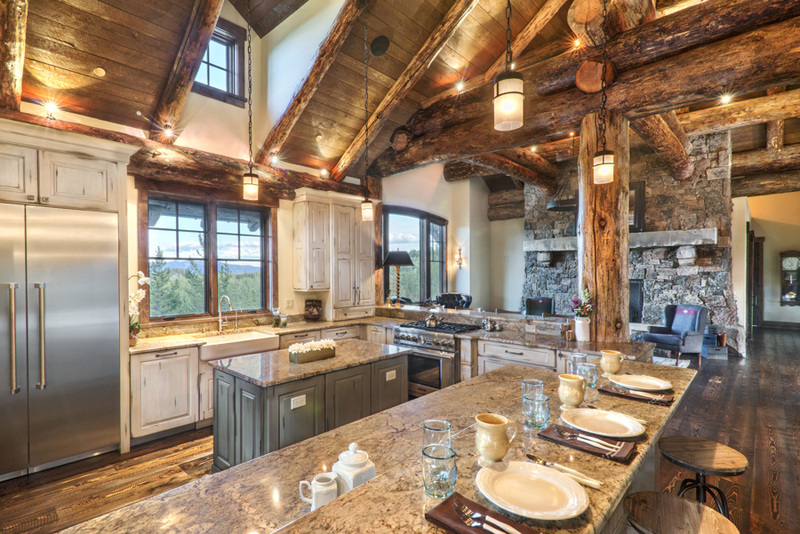 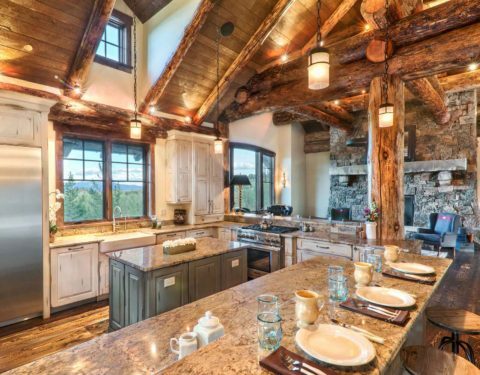 This luxury mountain home commands attention at every turn. 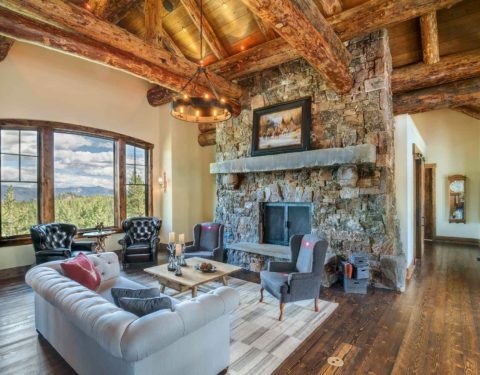 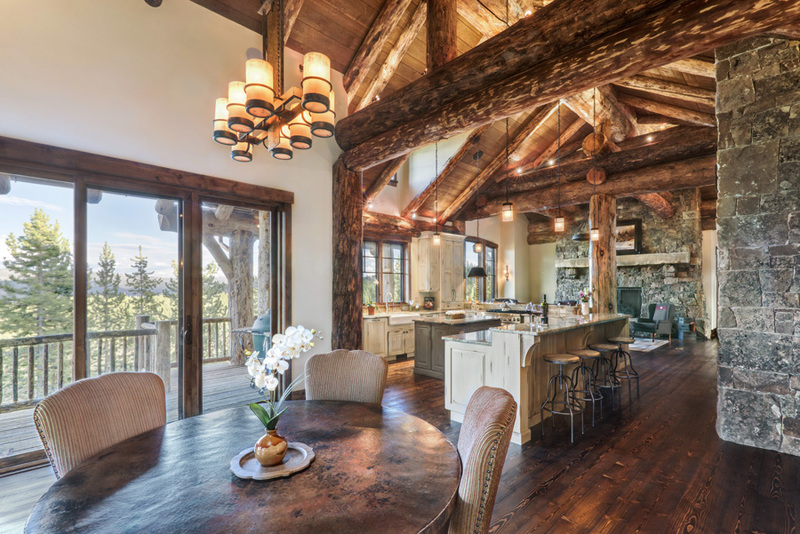 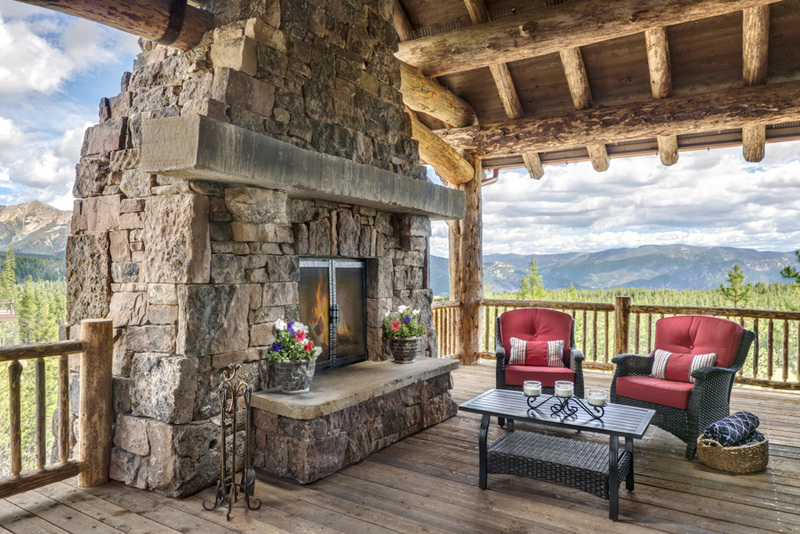 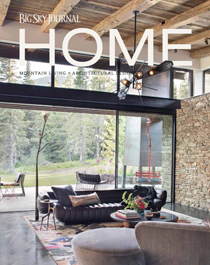 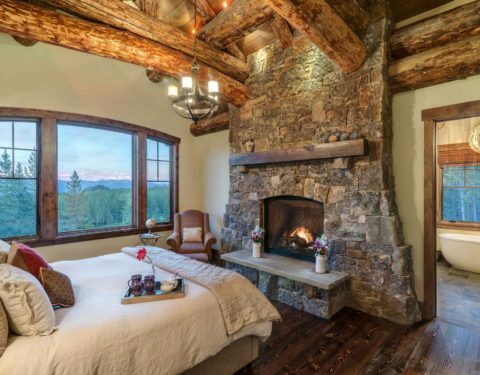 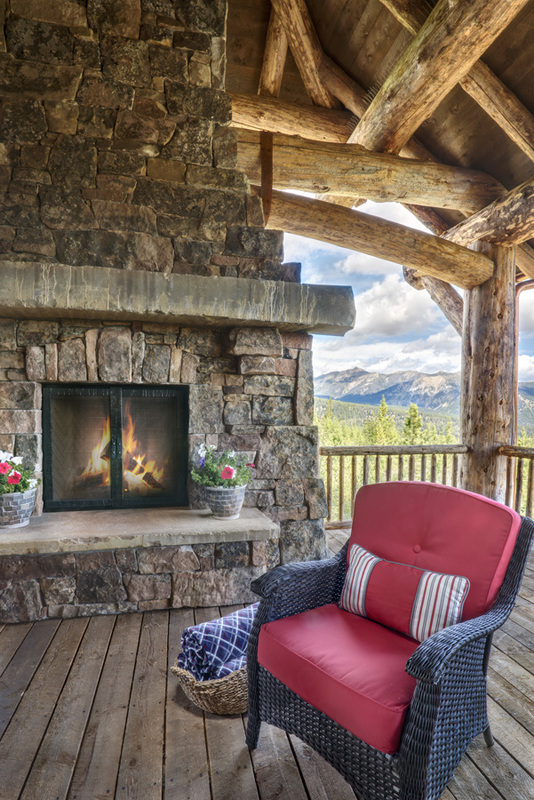 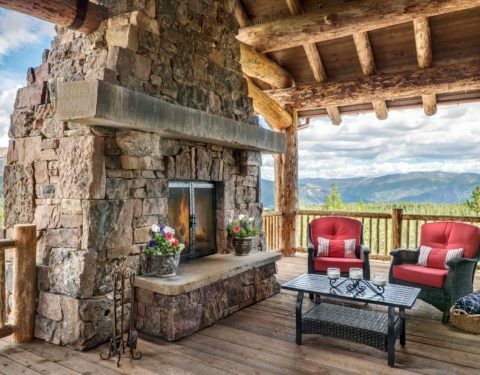 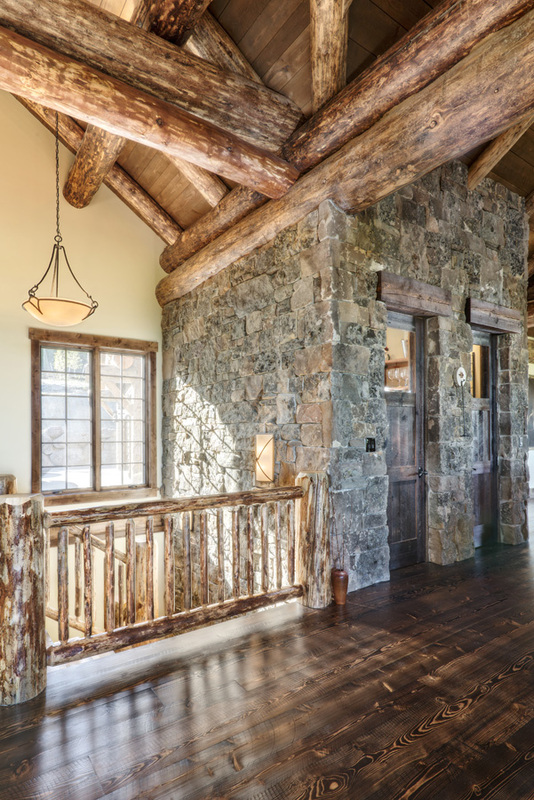 A magnificent combination of Frontier stone and Spruce, Pine, and Fir woodwork both inside and out, this luxury mountain home commands attention at every turn. 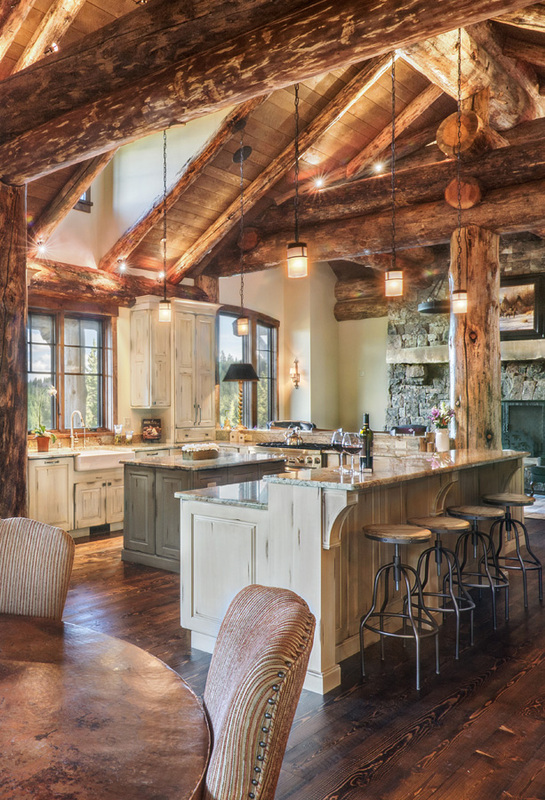 The raw beauty of each timber pulls the great outdoors into the most intimate of spaces, creating a rustic masterpiece few homes can rival. 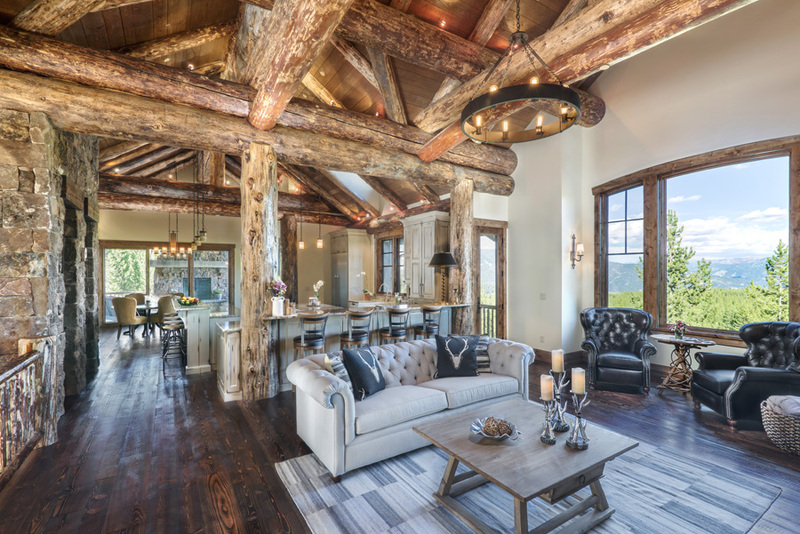 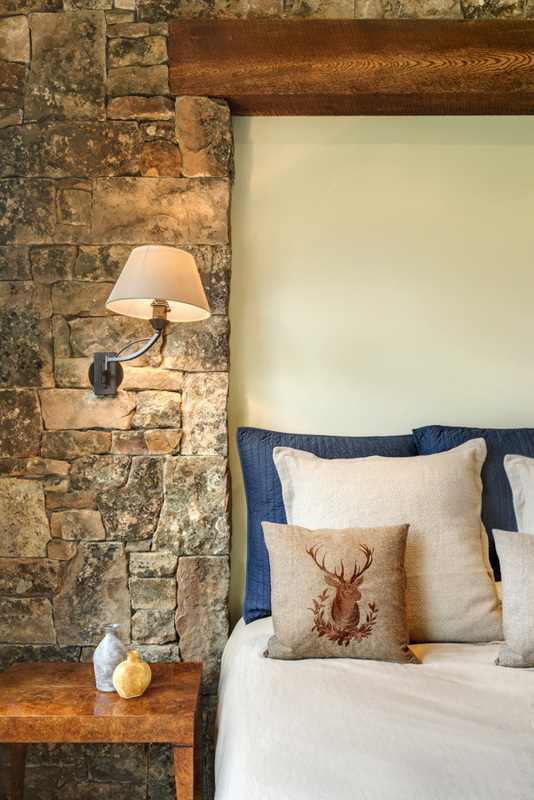 Wrought iron fixtures, artwork of the Old West, and antler-adorned furniture enhance the composition of weathered planks comprising the wood floors and trim. 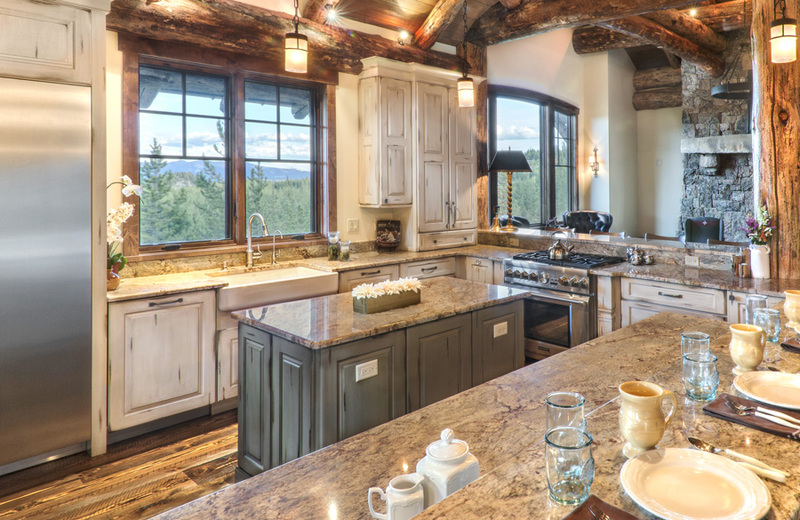 The contrived patina of Maple kitchen cabinets pairs perfectly with the fluid movement of Typhoon Bordeaux granite countertops and a wide farmhouse sink to create an effortless appeal that will enchant dinner guests. 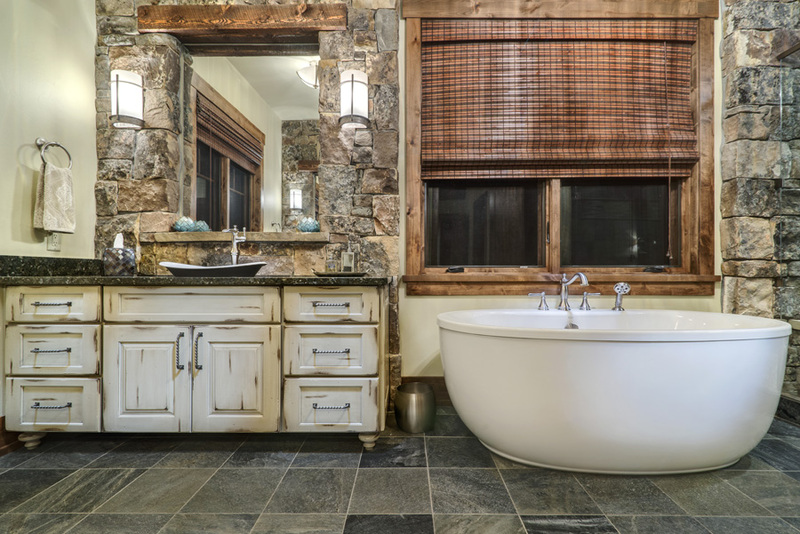 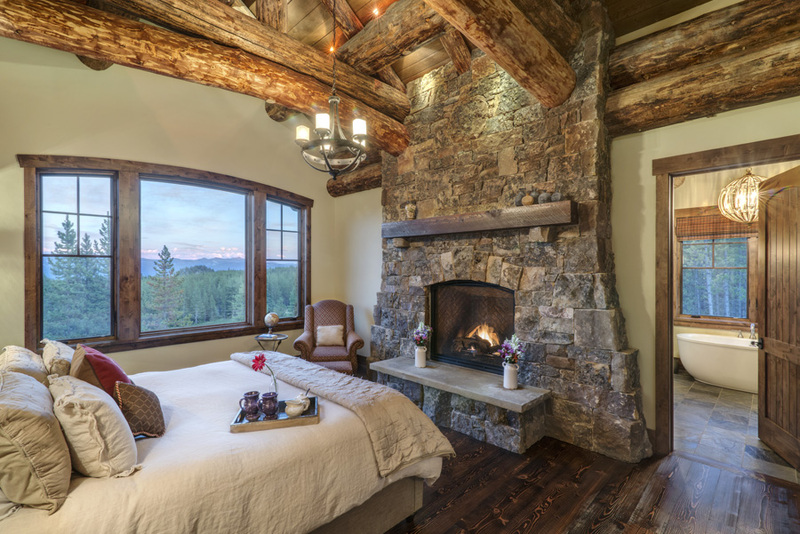 And while views of both the Gallatin and Spanish Peaks ranges from the master bedroom may be captivating, the master bathroom is truly an arresting sight. 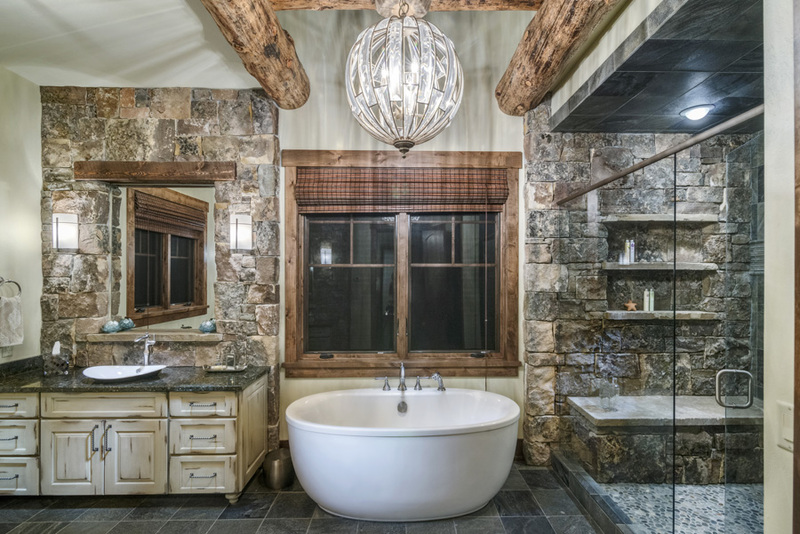 Under the prismed glow of the central light, tastefully distressed cabinets balance the sophisticated masonry framing a oversized shower. 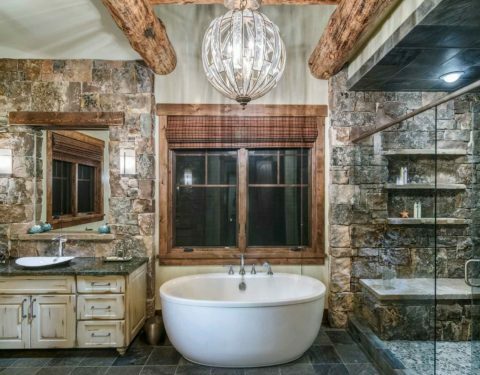 The deep soaker tub beckons tired, cold skiers to unwind in its warm waters. 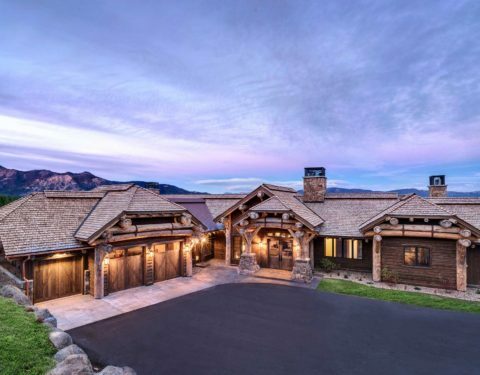 Not only is this home breathtaking, but it’s energy-efficient as well. 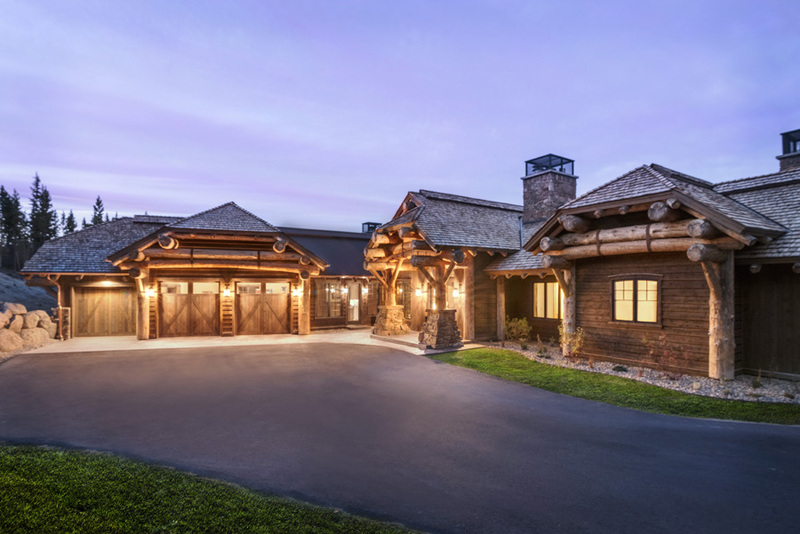 Ten 200 foot deep wells housed beneath the driveway provide both geothermal heating and cooling. 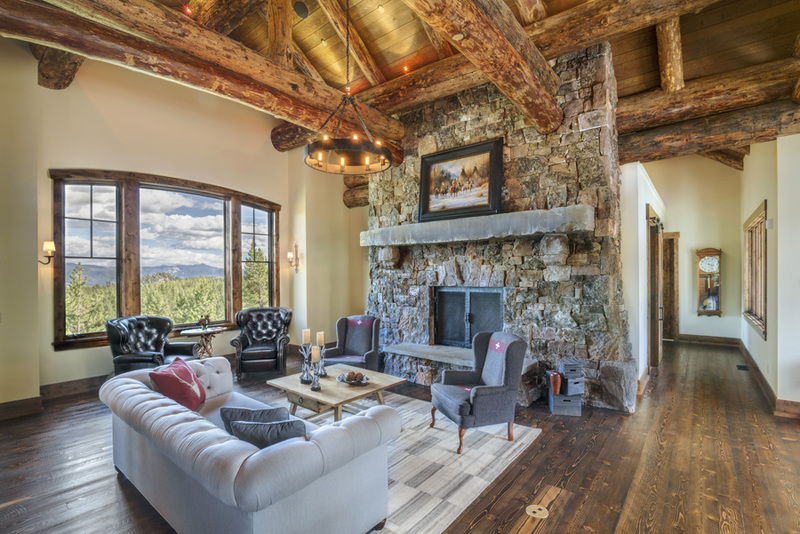 Last, but certainly not least, the lower level is sure to be the center of many gatherings, featuring a billiard room, home theater, and fully-stocked bar. 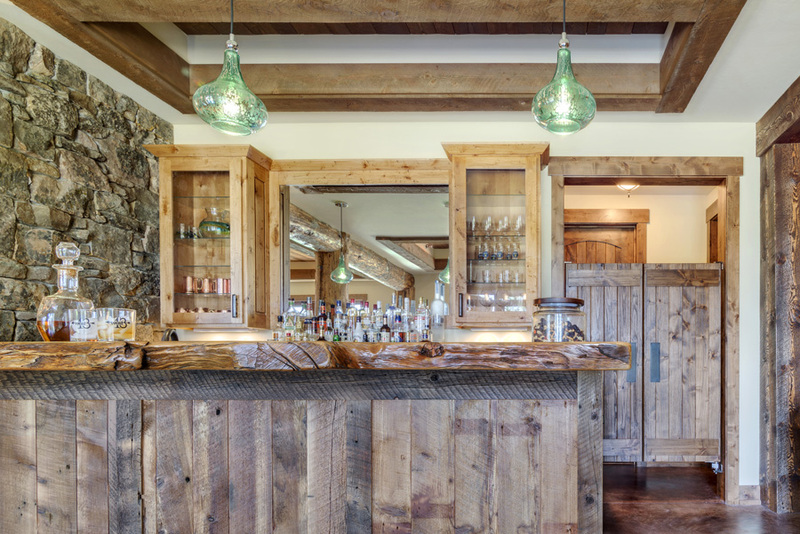 The custom-carved, live-edge Pine slab bartop perfectly pairs with the reclaimed barnwood panels and rests on concrete floors blanketed with a moody acid-stain, a look reminiscent of an old saloon. 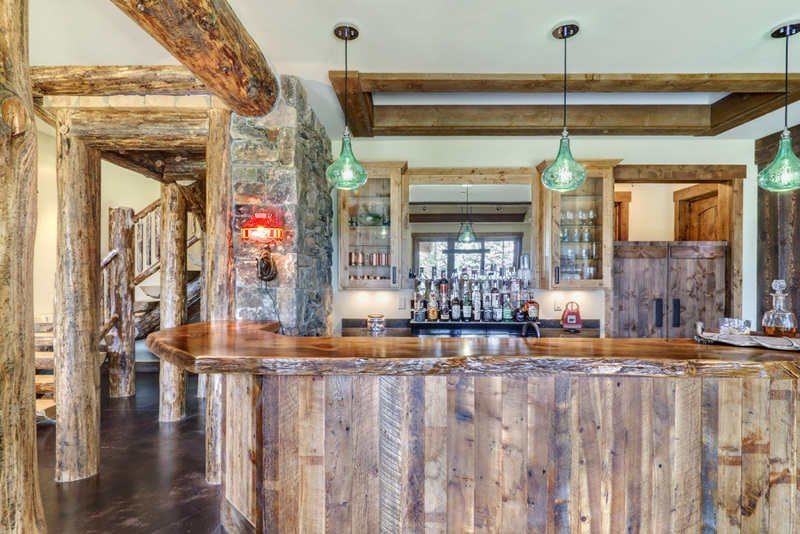 So grab a drink and get ready for a game of pool, a day on the slopes, or a round of golf. 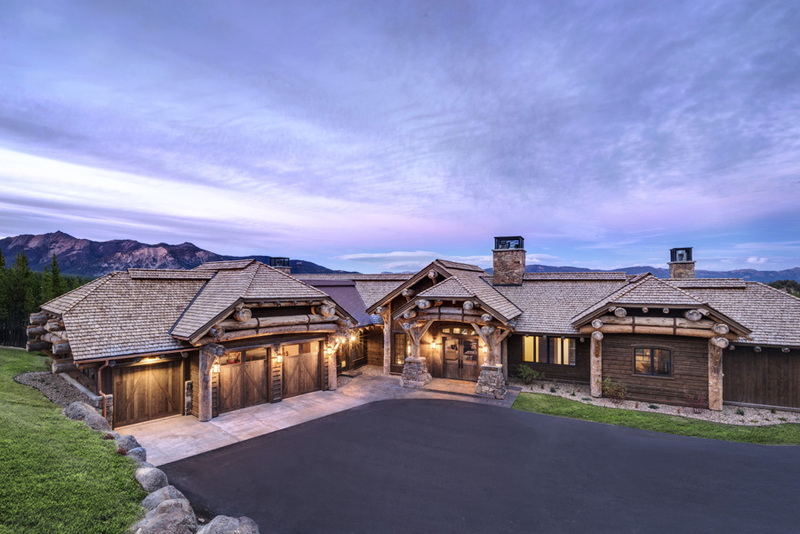 This Big Sky custom built home, located near the 13th green on the Spanish Peaks Golf Course, is a hole-in-one.